Sign up for Broadjam today to follow Kraig Kilby, and be notified when they upload new stuff or update their news! This track is a solo trombone track with synthesizer, sequencer and "white noise" in the background that climaxes and then fades. 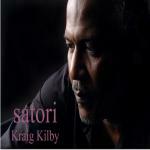 Thanks for supporting Kraig Kilby! Would you like to help Kraig Kilby get heard by industry pros by buying them a song submission credit to Broadjam Music Licensing Opportunities?